Attending a light festival has always been on my bucket list, but I never had an opportunity to attend until recently in Montreal. The Montreal Botanical Gardens is hosting the 25th edition of Gardens of Light festival until October 31st and as soon as I heard about it, I booked tickets. 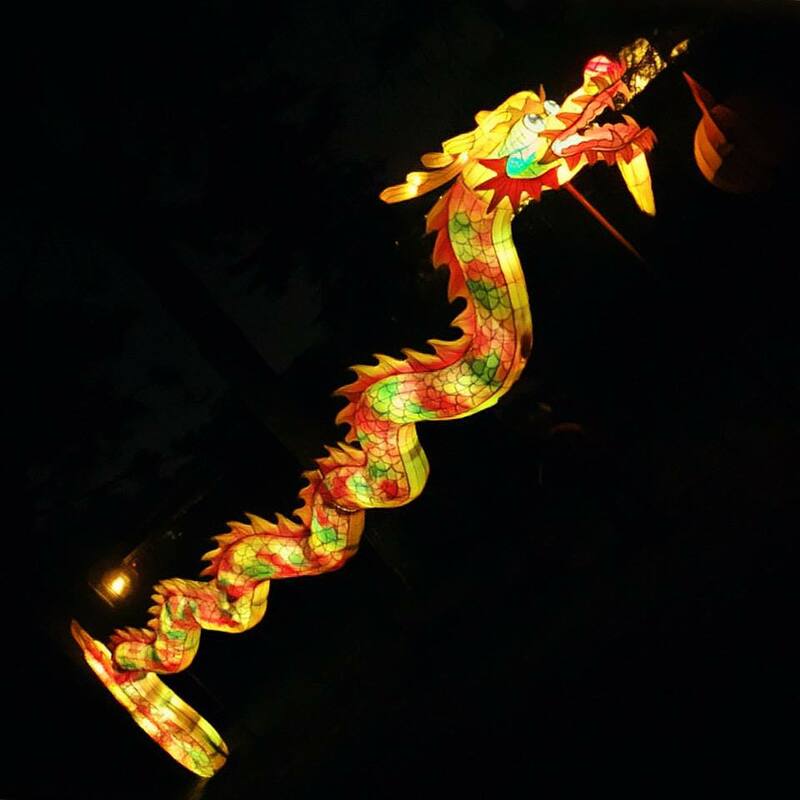 A footpath in the Botanical Gardens leads through the Chinese, Japanese, and First Nations Gardens in the annual festival of lights. 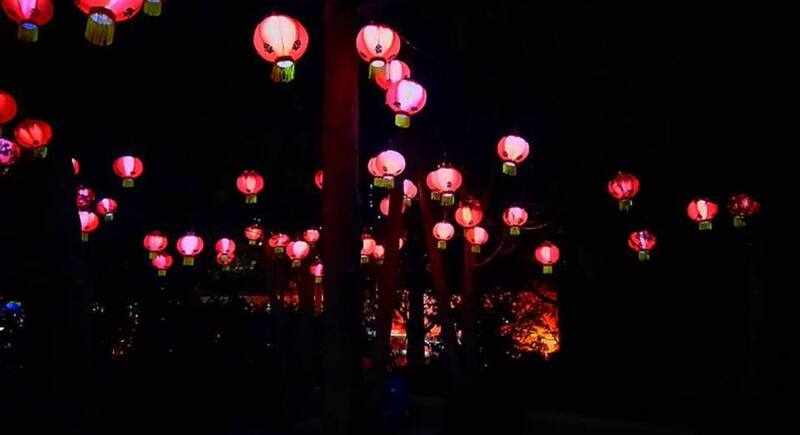 Brilliant colors and delicate silk lanterns are set ablaze in the work of art and they are definitely worth adding to your Montreal bucket list. Every year, the Gardens of Light festival is different, decorated with hundreds of new multi-colored lights. This year’s theme is “Between and Sky and Water” and Dragons. We entered the light festival under a canopy of lanterns. 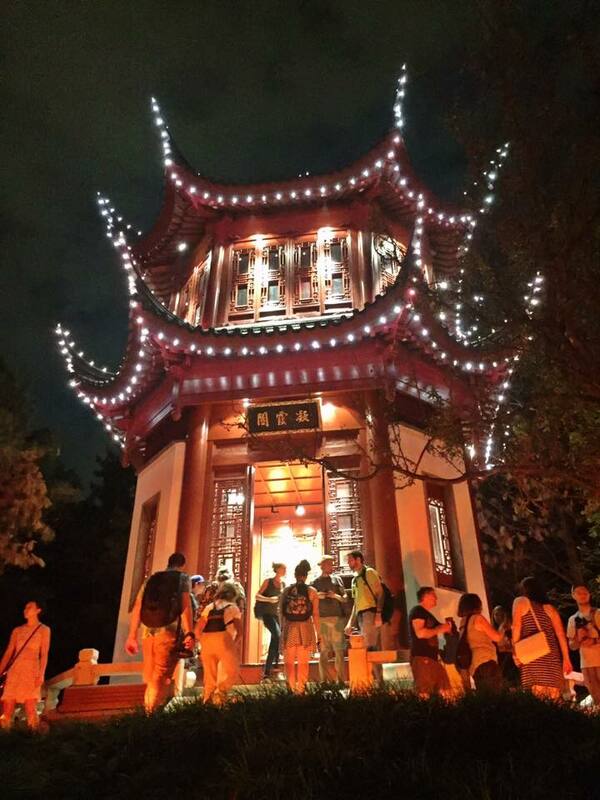 Like twinkling stars in the sky, they rested delicately above our heads before embarking on the Chinese Garden. 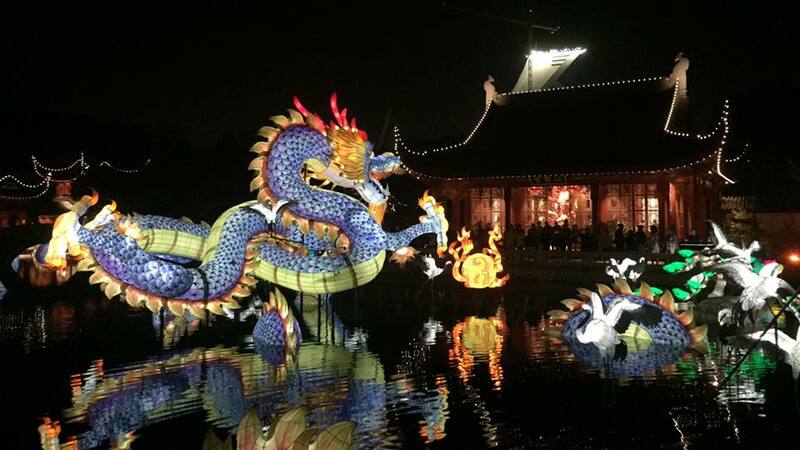 The dragon represents China as a whole and is the star of the 25th edition of the Gardens of Light festival in the Chinese Garden. It is accompanied by nine offspring, protecting the newly restored pavilions. Around them, flying red-crowned cranes, symbolizing the longevity of the friendship between Montréal and Shanghai. For the first time ever, the Gardens of Light festival included the First Nations Garden. This celebratory illumination concentrated on the Sacred Tree, representing the circle of life, a First Nations symbol of the birth of seasons and nature’s transformations. The light show was accompanied by the sound of Mother Earth’s heart beat and a projection of a fire, a symbol of communication between earthly and celestial forces. They come together in the tree, through its branches and roots. The Japanese Garden is designed for contemplation and tranquility. Compared to the Chinese Garden, it’s more of a calm experience but equality magical. We were most taken back by the Chinese Garden, but enjoyed the quiet relaxation of the others. While the Japanese Garden wasn’t as colorful, we reveled in the peacefulness and took that time to hold hands and quietly chat about our day. It was a romantic way to end the evening and ideal for a date night.